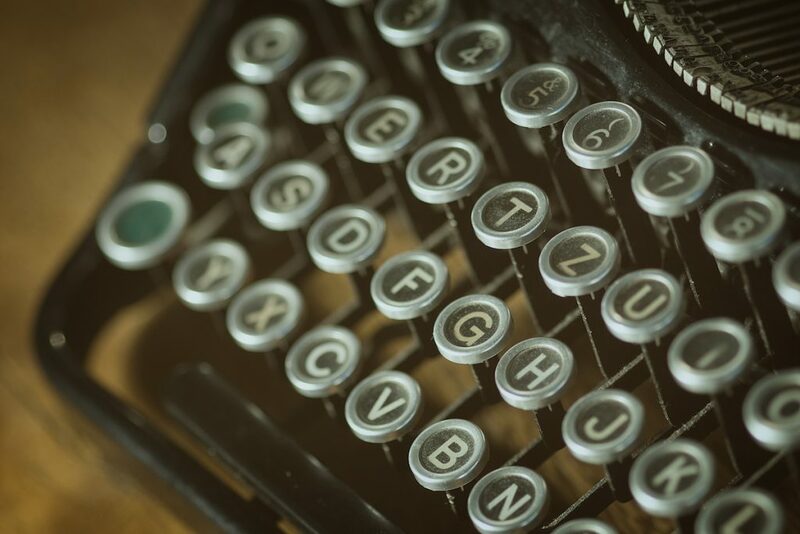 That was the theme of the hit movie “Love Story” with Ali McGraw and Ryan O’Neal back in 1970. Those words were emblazoned on a poster of the two of them, which my 16 year-old self had taped up on my wall. I couldn’t wait to get into a relationship where all was understood. You just couldn’t mess up. How heavenly was that going to be! Well… it just doesn’t work that way. 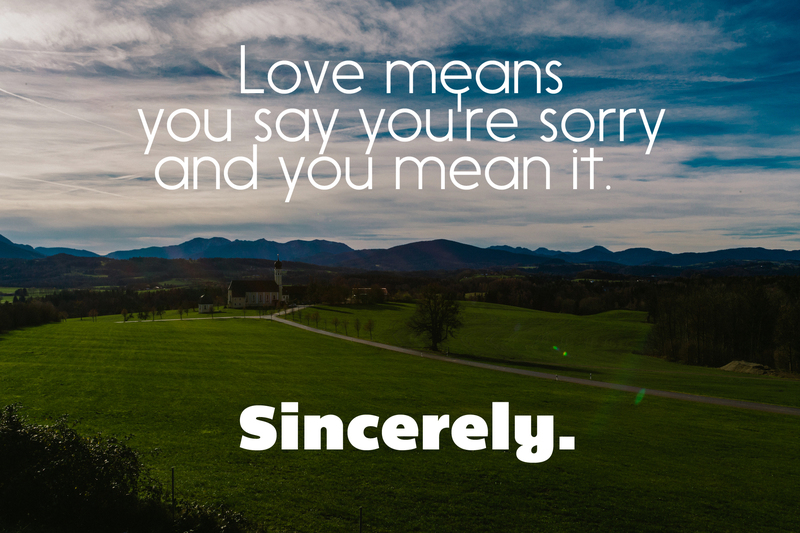 Love means you say you’re sorry and you mean it. Sincerely. There was a great article in the Wall Street Journal on just this topic, written by Elizabeth Bernstein. She outlines 5 steps in “good” apologizing, with quotes from experts around the country. Many people find apologizing very difficult. Most of them grew up in families where no one apologized — for anything. It is viewed as giving up way too much control. Somehow the belief is that you’re taking a one-down position by uttering such words. In a long-term relationship like marriage, you’re going to screw up. It may be something fairly insignificant. Maybe not. You’re going to be disappointing — frustrating at times. That’s just part of it. If you are happy in that marriage, there are things that balance that out. Good things. Fantastic, warm, loving things. I remember asking my husband one time (he hates these discussions…) if he would tell me what disappointed him about me. Just in general. Those disappointments are tolerated in a good, healthy marriage — on both sides. So why is apologizing one of the simple things you can do to help your relationship? 1) Saying you are sorry means that you recognize your behavior has an impact on those around you. What you say. What you don’t say. Do. Don’t do. It reflects that you notice that impact, and frankly care about the person you may have unintentionally hurt or disappointed. If the hurt is intentional? Then you have a problem in your relationship that is even deeper. Unless a discussion is about something extremely factual, like what you ate for breakfast, we only have our perceptions to guide our opinions. Your perception. Your truth. But not everybody else’s. If you fight about who is right all the time, your marriage might not make it. The person who ends being “wrong” feels defensive, and may fight harder next time — just so he or she can win. Both people end being lonely in their positions. 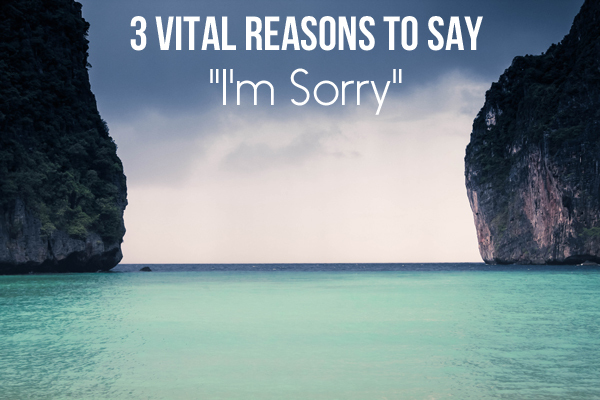 3) Saying you’re sorry builds trust. It’s simple. You’re taking responsibility for your part. You’re giving to someone else what it feels good to receive. It is inevitable that I am going to be disappointing from time to time, even if it’s not for some egregious behavior. Maybe just because I’m really busy. Or I forgot to stop by the pharmacy. Recognizing the impact that has on my partner? It’s a wonderful gift to give. Not a loss of status. Not a loss of power. A gift. A simple statement. “I’m sorry I forgot to go by and pick up those meds. I can do it tomorrow morning if that would help“. And you let them know it. 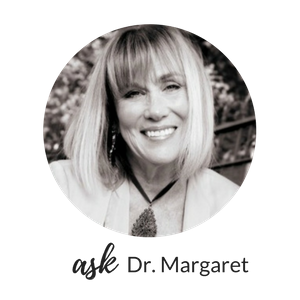 Please comment below or you can privately email me at askdrmargaret@146.66.99.73. SUBSCRIBE in the above gray box! Thank you so much for reading.